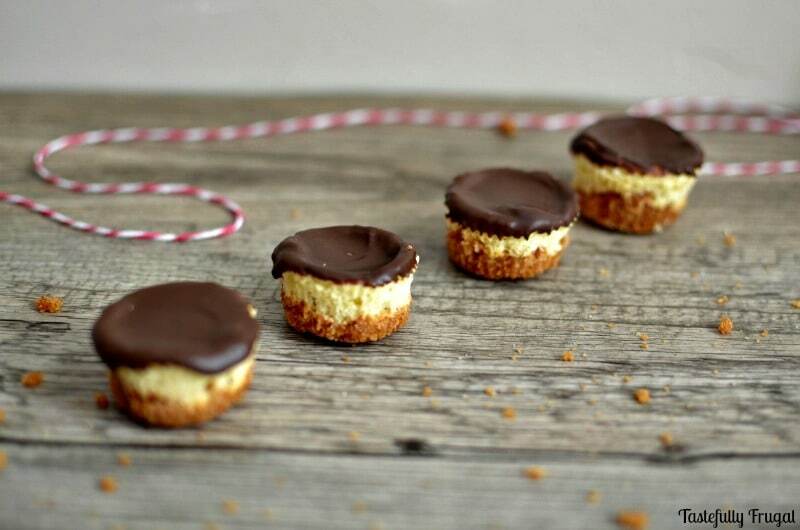 Create a sweet treat in the perfect size! You know when you have a craving for something and you just have to have it? And then when you get it (no matter what the size) you eat it all. Lately, for me, that craving has been cheesecake. I think it all started when we went out to eat at The Cheesecake Factory around Christmas time and I had the most amazing slice of cheesecake. Ever since then I’ve had cheesecake on the brain! The only problem for me is, I know that if I make an entire cheesecake, there is a good chance I will eat an entire cheesecake (with help from my boys of course). But still that is a lot of temptation for someone who is determined to eat healthy this year. That being said, you still have to have something sweet every now and again. Especially if you want to continue to eat better on a regular basis. 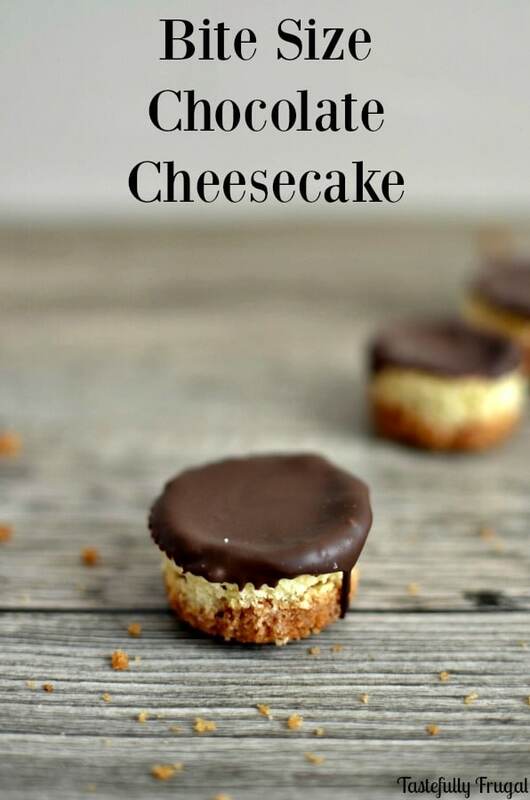 So I decided to make my favorite cheesecake in to a bite size version. Because everything is better bite size, right?! Not only that but I could also take some to friends and neighbors as a nice little surprise which helps me with my second goal of the new year; to spread joy to as many people as possible. Since February is National Heart Health month I wanted to make the cheesecakes heart healthy too. I decided to go with my favorite dark chocolate for dipping, Ghiradelli Dark Melting Wafers, and it was the perfect addition to these bite size wonders. 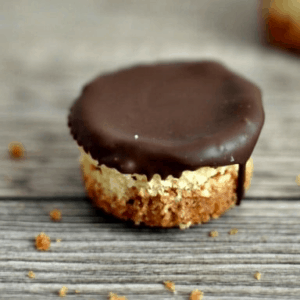 I love the way that the crunchy yet smooth graham cracker crust pairs so well with the light and soft filling and the chocolate is the perfect amount of sweet to bring it all together. This recipe makes a pretty big batch; you can always cut it in half if you want or freeze some and save them for a rainy day! Either way make a batch ASAP… your taste buds will thank you. 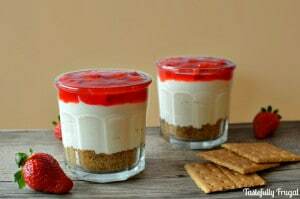 In a small bowl combine graham cracker crumbs, butter and sugar and stir until smooth. Fill small cupcake tins (You will need at least 2) with mini cupcake liners and fill about 1/3 full with graham cracker crust. In a mixer combine cream cheese, sugar, egg yolk, lemon juice and vanilla. Mix for 2-3 minute until smooth. In a second bowl, whip egg white until stiff peaks form (about 3 minutes on high speed). Combine egg white with cream cheese mix and mix again for 1-2 minutes to combine. 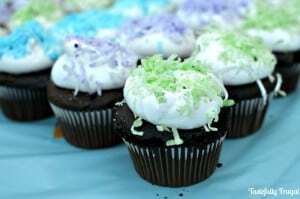 Fill cupcake liners full with cream cheese mix. Let cool for 30 minutes and then freeze for 1-2 hours. Thaw for 15 minutes in fridge. 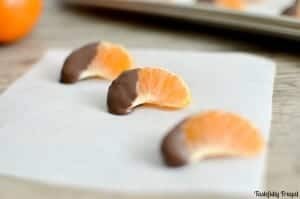 Melt wafers in microwave for 30 seconds. Stir and microwave again for 30 seconds (if necessary). 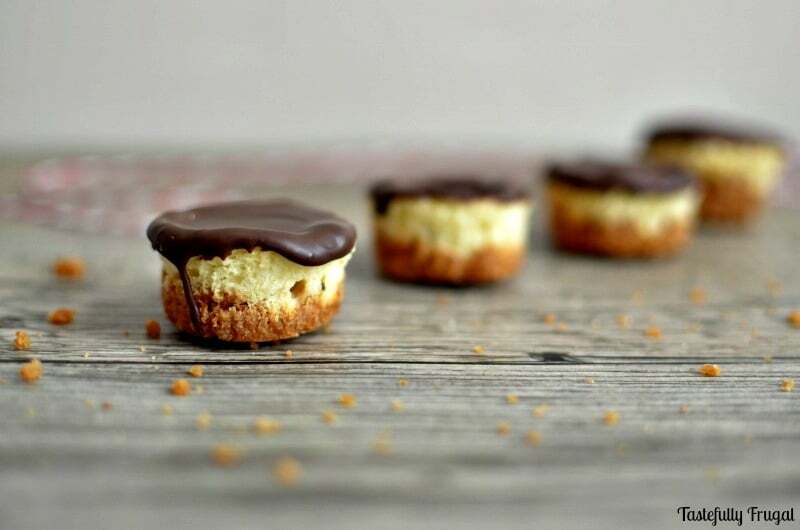 Dip cheesecakes into melted chocolate.